We understand that reaching your target audience can be difficult and costly. That’s why we work together with local businesses to produce advertising campaigns at a fraction of the cost of other stations. Coast FM is the only radio station exclusively for West Cornwall, placed to offer a wide range of output covering local issues, culture and specialist music programmes. Our uniquely designed programming schedule means that we can appeal to and target audiences unlike any other radio station. We focus on providing ‘micro-local’ content reaching parts of the country that other stations cannot reach, giving West Cornwall it’s own voice on the airwaves. We’re also a Community Interest Company, which means that our profits go back into the community. We broadcast on 96.5 & 97.2FM across West Cornwall with a population of approx 60,000, online via our website and via our mobile apps. However, our reach doesn’t stop at our programming. We also provide a full national and international news service and up to the minute traffic updates via our website. Our verified social media accounts also post local content around the clock, and we're always looking for new ways to reach our audience with local news that matters. We speak with the local population every day, be that with guests in the studio, or over the airwaves. Our daily magazine programmes such as our flagship show Coast to Coast voices the issues of the local community, and features regular interviews and panel discussions. Our mainstream programming includes popular hits from the UK, and if that's not for your liking, our specialist music programming on evenings and weekends might be for you. By working with us, we can help communicate your brand or local business to your target audience. Our unique schedule means we can reach those most likely to be interested in your particular business or service. Reach your potential customers wherever they are, whether they’re at home, at work, or on the move. Our reach includes not only on FM, but our website, verified social media profiles and mobile apps. 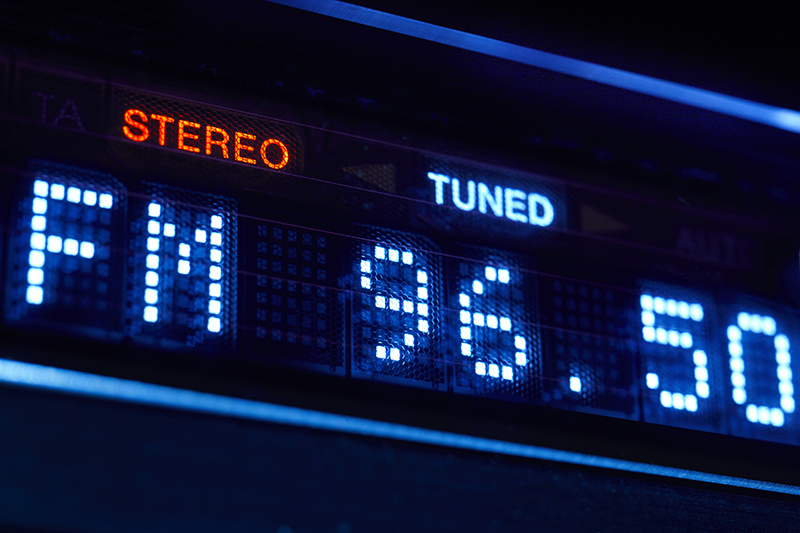 Radio commercials are usually out of reach for most, particularly smaller, local businesses. As a Community Interest Company, we don't pay shareholders, and as such can offer professional radio advertising at a fraction of the cost of other stations. As we only cover West Cornwall and can target your advertisement to the best audience, you won't be funding wastage by paying for advertising outside of your business catchment area. 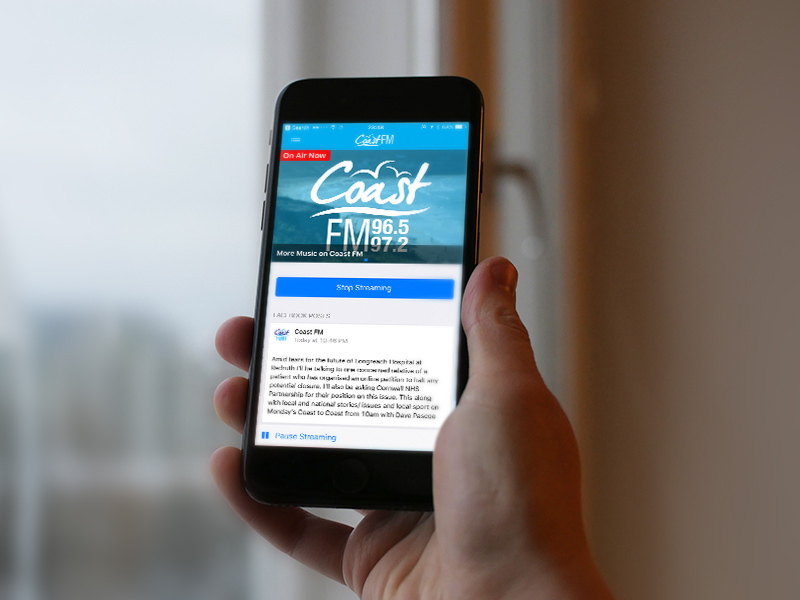 Coast FM can offer use of its own in-house production services if you don't already have a radio advertisement. Our team at Coast Creative create dynamic advertisements professionally produced & voiced, with commercial music rights included. We'll work with you to create a 30 second commercial to a script, professionally voiced with commercial music rights. You then pick the airtime package to suit your budget. Each advert costs just 44p for each play, and you can spread the cost too, at no extra charge - ideal if you’re a small business. If you'd like more information on cost effective advertising with Coast FM and how we can work with your business, email us at [email protected]. © Penwith Community Radio Station CIC 2018. All rights reserved.